It's turning into quite an 'American' autumn in Britain and Ireland this year. Following the news breaking of the Irish Little Blue Heron a few days earlier, on 8th October Cornish birder Kester Wilson found Britain's first ever Empidonax flycatcher. It had been long-predicted that at least one of this genus would finally make it to the British Isles; Acadian, Alder and Least Flycatchers all feature on the Western Palearctic list. However, the exhilaration of finding a first for Britain must have been somewhat tempered by the fact that it wasn't at all clear that it would be possible to identify the bird to a definite species. The flycatcher was soon named confidently as either Alder or Willow Flycatcher. These two used to be lumped as a single species - Traill's Flycatcher - and many American birders still use this term, as the species are essentially indistinguishable in the field except sometimes by voice. Somewhat unfortunately, they don't tend to be very vocal on autumn migration, so it looked a very real possibility that this bird could disappear without anyone ever knowing for sure what it was. Therefore, permission was sought for local ringers to catch the bird, to obtain measurements. Although there is some overlap in measurements between the two species, this can help the identification process substantially. Permission was granted on 9th October and the bird was caught and subsequently announced to be a first-winter Alder Flycatcher. We have therefore added Alder Flycatcher as a provisional species to BUBO Listing for people to add to their British (or British & Irish) lists. As ever, we reserve the right to remove this species should further information come to light that casts doubt on the validity of this identication (which is perhaps more likely with this record than with any of the other provisional 'firsts' we've added). Thanks to John Martin and Matthew Deans for their photos. The first Little Blue Heron for Ireland was reported at Letterfrack, Go Galway, on 5th October 2008. The bird, a juvenile, was first seen on 24th September when it was considered interesting, but eventually passed off as a Little Egret. Only when checking an American field guide nearly two weeks later was the mistake realised and fortunately, the bird was still present. Juvenile Little Blue Herons are white, later moulting into the grey-blue adult plumage. Apart from more subtle differences in the structure and bare-part colouration, a key feature is that of small black tips to the primaries. Assuming the record is accepted, this is the first for Ireland, the first for Britain & Ireland, and only the fourth for the Western Palearctic, following individuals on the Azores in the autumns of 1964, 1997 and 1998. Little Blue Heron has now been added to BUBO Listing for potential addition to Irish lists and to Britain and Ireland lists, although only as a provisional addition to both lists. If, for whatever reason, the record is rejected at a later date, it will be removed from BUBO Listing. Hot off the presses comes the news that the British Ornithologists' Union have accepted a record of a juvenile American Common Snipe Gallinago gallinago delicata, commonly known as Wilson's Snipe, to Category A of the British List. Note that the BOU currently consider Wilson's Snipe to be a subspecies of Common Snipe so you will not be able to add this to your BOU-based lists on BUBO Listing. However, the BOURC’s Taxonomic Sub-committee is currently reviewing its taxonomic status, so maybe there could be an armchair tick coming in the not too distant future for those lucky enough to have seen the bird that was present on St Mary's, Isles of Scilly from 9 October 1998 until 7 April 1999. There are several other claims of Wilson's Snipe in Britain, as well as accepted records from elsewhere in the Western Palearctic. 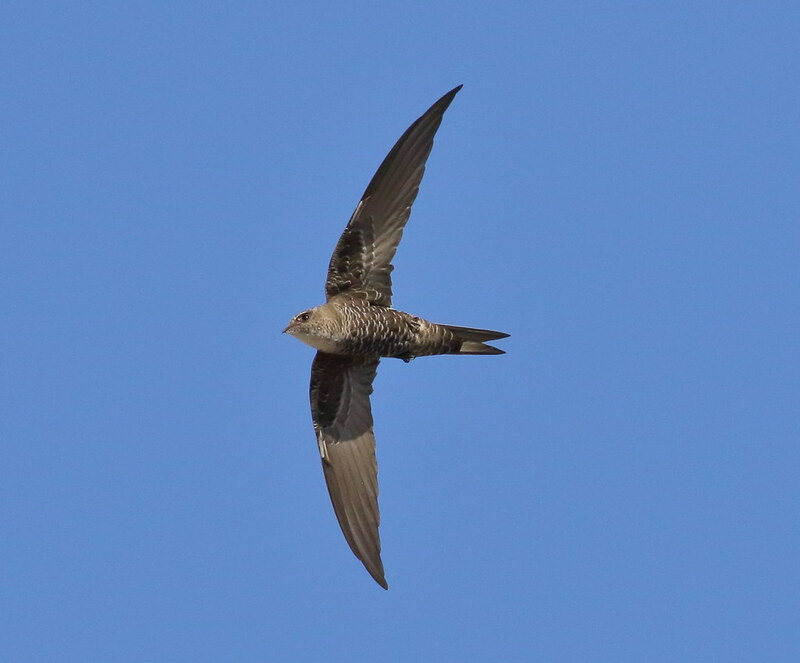 The fact that a British claim has now proven genuine, together with the fact that it is a known long-distance migrant with some birds thought to cross the western Atlantic on their southward migration, could well mean that it is a relatively regular transatlantic vagrant. The extreme complexity of identification means that an excellent series of detailed photographs would surely be a pre-requisite for acceptance of any live bird however. The full BOURC and BBRC announcement can be read on the BOU news blog. After being banished from the British List in 1999, Hooded Merganser has now been reinstated to category A by the British Ornithologists' Union. The record in question was of an immature or female at Oban Trumisgarry on North Uist in the Outer Hebrides, in October/November 2000. The BOURC's announcement accepts that this decision was not straightforward. It was acknowledged that there are large numbers in captivity and known escapes have occurred, and the BOURC states that it remains of the opinion that the majority of birds in Britain and Ireland are derived from a captive origin. Conversely, numbers of the species in the Nearctic are increasing, and there have been several recent records from the Azores, implying that transatlantic vagrancy is certainly a possibility. Weather conditions in autumn 2000 also appeared conducive to natural vagrancy, and the bird arrived at the same time as a number of other Nearctic ducks. BUBO Listing has now added Hooded Merganser to the BOU authority list. However, the next question is which individuals should British birders feel able to tick? Obviously, anyone who saw this bird on North Uist will be happy, but there are a number of other recent records which might also be reasonably considered as wild birds. In particular, the BOURC news announcement makes mention of the birds at Newbiggin, Northumberland, in March 2002 and at Haroldswick, Shetland, in April/May 2006. These two individuals have been published by the British Birds Rarities Committee previously as acceptable category D records, and so it would seem reasonable to allow listers to include these birds also. Some birders may wish to count other individuals. For example, up to four birds were at large in the 1996/97 winter. The way BUBO Listing operates, British birders can add any Hooded Merganser to their list if they wish to do so. Some will wish to wait for the BBRC to pass judgement on a record before counting it. Others may feel that any bird that doesn't display obvious signs of captive origin is acceptable. It's up to you. Remember, however, that your record will be open to scrutiny to any other birders, so make sure you feel you can argue its case!